Invarosoft is fanatical about finding the best people & creating an awesome culture. 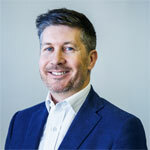 As chief executive officer, Jamie is responsible for Invarosoft’s day to day operations, as well as leading the company’s direction and innovation strategy. 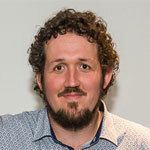 Jamie is passionate about the IT support industry and previously founded an award winning MSP business in 2000 which grew organically to over 40 staff, $7 million in revenue and was honoured 7 times in the MSPmentor 501 list from 2011 to 2017. Jamie was also honoured twice in the MSPmentor 250 list recognising the world’s leading MSP entrepreneurs and executives. 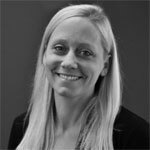 Jessica is VP of Sales and Customer Success and has over 20 years experience working the ICT industry. At Invarosoft Jessica is responsible for assisting our partners get the full Return on Investment (ROI) from our products from evaluation through to implementation. Jessica is also responsible for managing our sales and success teams to ensure you get the best experience partnering with Invarosoft. As VP for Product & Cloud, Dean has over 15 years development, infrastructure and MSP experience. Dean has built award-winning MSP products which have revolutionized the industry. He was the sole developer on the first early versions of ITSupportPanel™ back in 2010. At Invarosoft Dean is responsible for the management of our development team as well as the design and implementation our product, infrastructure & data center operations. As VP of Engineering, Greg has over 20 years experience in building and managing highly effective teams that produce relentless service and award-winning products. At Invarosoft he oversees engineering, which includes recruitment, product development, quality assurance, documentation and service desk. 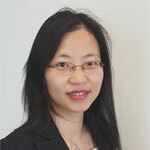 Vivian Zhu is VP of Finance for Invarosoft and is responsible for directing the financial operations of the company. 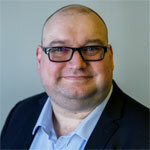 Vivian has over 7 years experience in the IT Support Industry and has worked at leading MSP’s prior to joining Invarosoft. Vivian is a finance, accounting and business professional and qualified CPA (Certified Practicing Accountant). As US Director of Channel Development, Nancy is responsible for USA based sales initiatives and representing Invarosoft at channel events. 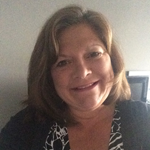 Nancy is a well known face in the SMB IT Services Community who enjoys working with VARs, MSPs, Vendors, MVPs and Community leaders on how to find beneficial ways to increase business profitability and success. Although she is not technical in nature, she has been extremely successful in the technology community. Her efforts have not gone unnoticed and she has been named to the SMB 150 list in 2011, 2012 and 2013.